It looks like I’ll just barely make my goal of adding all 2015 race recaps before the new year! -Location! Fallbrook is a beautiful city in the foothills of the Santa Ana Mountains. I love going up there for the rolling hills, big trees and general change of scenery. This race was only 20 minutes from my house, so packet pick up the day before was convient and driving to the race was a piece of cake. -Small Town Feel: I have a soft spot for small races that have a local feel to them and the Avocado Half hits this mark. I love how the race started from the Live Oak park, a personal family favorite. Most of the volunteers looked like high school students and the local marching band and pep squad were out on the course cheering on runners. -Medal: Okay, this is a seriously cool medal. The race was on Memorial Day weekend, hence the flag. Course: Because Fallbrook is so beautiful, I was expecting the course to be more scenic. It mostly followed a business route main road. There were a little bit of trees and open space near the residential areas, but I really didn’t care to run past fast food restaurants and dental offices. The two out-and-back segments just weren’t that interesting. Side note: the 5K route (which comprised of the first segment shared with the half) was the worst I’ve ever seen at a race. An out-and-back straight down then straight up the highway road. I felt bad for the participants. Course support: I’m not usually a back-of-the-pack runner, but by May I was well in to my second trimester and slowing way down. Nonetheless, I was within the course limits and there were still several hundred people behind me. Which was why I was completely shocked when I got to the second water stop and they were out of water! The next stop was out of cups, and volunteers were holding up giant jugs of water for runners to put their mouth up to the spout. This is completely unacceptable to me. I held out as long as I could before I had to give in and try and cup some water in my hands around mile seven. At mile 9 I was excited to see cups and water, until it turned out to be a clear, unmarked mystery sports drink. The day was cool and overcast but that was still the least comfortable I’ve ever felt finishing a race. Luckily I had scored one of the only parking spots in Live Oak park, because I heard stories of runners waiting over two hours to get bussed back to their cars. Basically the race directors need to step up the planning and organization. Overall, I was proud to complete my third half marathon of my pregnancy at a local race. I have other plans for Memorial Day in 2016 so I will not be back to Fallbrook. Supposedly the course is changing next year, and I will be excited to see the new route because that will absolutely influence whether or not I would return in the future. 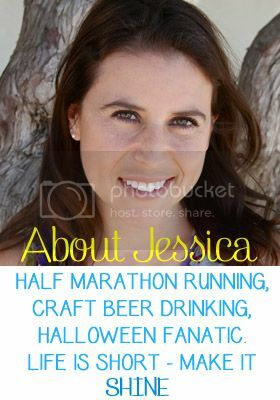 Categories: Race Recaps, Running | Tags: Avocado Half Marathon, Fallbrook, Half Marathon, Race Recap, running | Permalink.